At long last, I can see spring on the way. 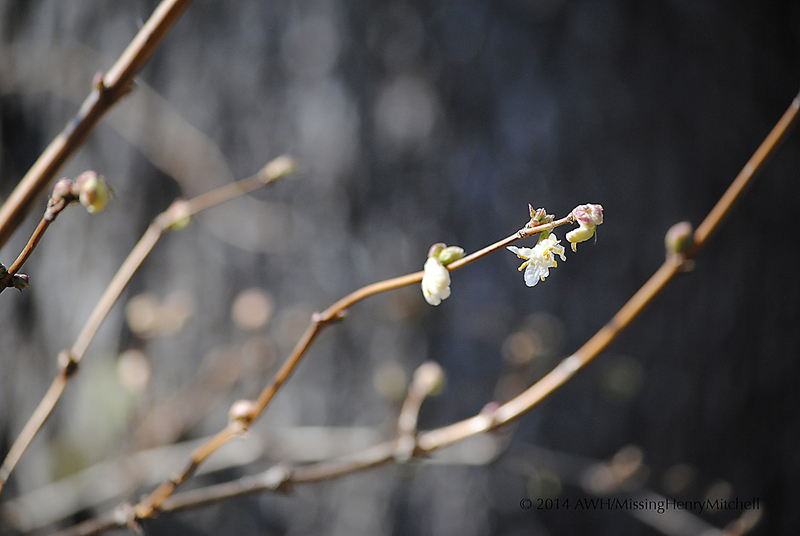 The buds on my winter honeysuckle, Lonicera fragrantissima, are beginning to open. The flowers smell bright and lemony, and give a lift on a dreary winter day. This entry was posted in 2014, Backyard Blooms, Garden log and tagged gardening, lonicera, lonicera fragrantissima, nature, shrubs, winter gardening, winter honeysuckle by missinghenrymitchell. Bookmark the permalink.